Find me one woman who does not want it. But why does it seem like flawless skin is too much to ask for? Trying to get your skin to cooperate with you almost always feels like a series of never-ending battles against zits, dark circles, pigmentation, patches of dry and lifeless skin, blackheads, and – oh, how I wish the list ended there! To top it all off, it doesn’t matter if you don’t have to deal with any of these issues right now. Chances are if you do not pay attention to your skin, one of them are bound to come knocking on your door with the others not too far behind. Pretty daunting, huh? Your face is always collecting gunk from the pollution and dust it is exposed to, and the dead skin and natural oils that accumulate on it. Using a gentle cleanser to remove this buildup will unclog your pores, preventing issues like acne. The choice of cleanser depends on your skin type and what suits it best. Using a toner after proper cleansing will ensure that no residual oil or dust remains on the surface. Natural toners like rose water, green tea, and white vinegar work well to restore your skin’s pH balance while tightening your pores. End the routine with a good moisturizer. This is the base of any skin care routine. Wash your face with your regular cleanser and then steam it. This will help open up your pores and allow for some deep cleansing action. Once you have steamed your face for about 10 minutes, follow it up by applying a clay mask that will draw any dirt out. Optionally, you could use a combination of honey and oatmeal. Once this is done, rinse off the mask and tone your face by dabbing it with a cotton pad that is soaked in rose water. This will help re-seal your pores. Finish with your moisturizer. 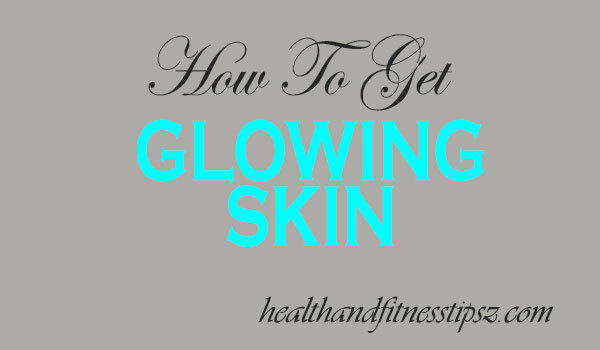 Following these instructions will have your skin glowing with health right from day 1. By day 7, your face will appear soft, radiant, clear, and you will be on top of your face-care game. This doesn’t mean that you stop caring for your skin. Following the CTM method every day, exfoliating your skin twice a week, and treating it with natural face masks a couple of times a week are essential for maintaining skin health. It might seem like a lot of work, but fret not!